Professor De Leo’s research expertise includes definitional issues in suicidology, culture and suicide, international trends and national suicide prevention programs. He has published extensively with over 700 publications, including 250 peer-reviewed articles, 150 book chapters and 33 volumes. His H­graph is today 30, but has been consistently above 20 in the past five years. He is Past President of the International Association for Suicide Prevention and the International Academy for Suicide Research. He serves as a board member of the Australian Suicide Prevention Advisory Council and is Chair of the Advisory Committee to the Queensland Government Suicide Prevention Strategy. 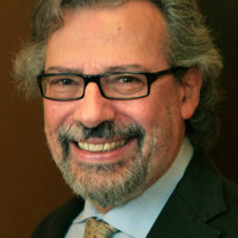 Prof. De Leo has successfully established and managed many high-level international collaborations, which have resulted in the creation of seven collaborative studies including the WHO/EURO Multicentre Study on Suicidal behavior, the WHO/SUPRE-MISS (SUicide PREvention – Multisite Intervention Study on Suicide) and the WHO/START Study Project (Suicide Trends in At-Risk Territories). He is founder/co-founder of the Italian Society for PsychoOncology, the Italian Association for Suicide Prevention and the International Academy for Suicide Research. He is the ideator and main promoter of organizing the World Day for Suicide Prevention, taking place every September 10th since its establishment in 2003. He is currently the Editor in Chief of Crisis: The Journal of Crisis Intervention and Suicide Prevention, and editorial board member of Suicide & Life­Threatening Behavior, Archives of Suicide Research, Suicidology­on­Line and Advancing Suicide Prevention. He is Associate Editor of BMC Public Health, and Regional Editor of Behavioral Medicine. In addition, he is a member of the editorial boards of several other journals including Journal of Affective Disorders, Aging Clinical and Experimental and the Open Geriatric Journal, plus several Italian medical journals. He is the winner of several national and international awards. He won the IASP Stengel Award when he was just 40-years‐old, and Life Research Award (Suicide Prevention - Commonwealth of Australia) in 2007. He is a Gold Medal, Italians in the World. His most recent award was the AAS Louis I. Dublin award (a lifetime achievement award for outstanding services/contributions to the field of suicide prevention as evidenced by leadership, devotion and creativity) in 2011.